The Minister of State for Aviation, Hadi Sirika, on Tuesday calmed the nerves of anxious Nigerians who were already developing sudden phobia for flying believing that Nigerian carriers operate the replica of the Ethiopian Airlines B737 Max 8 that crashed on Sunday killing people on board. The Minister assured air travellers that there was no cause for worry as not a single Max 8 was in Nigeria’s aviation register. 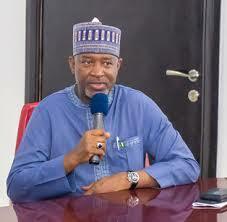 Sirika, while acknowledging air accidents anywhere as a global tragedy to the aviation industry, said the Nigerian Civil Aviation Authority (NCAA), had since issued the necessary advisory as it relates to the country. Recall that two Nigerians, Prof, Pius Adesanmi, and a retired ambassador on contract with the United Nations Economic Commission for Africa (UNECA), Abiodun Bashua, were among the 149 passengers on board the plane. The black boxes comprising the Flight Data Recorder and the Cockpit Voice Recorder of the crashed jetliner have since been retrieved from crash site for analysis.